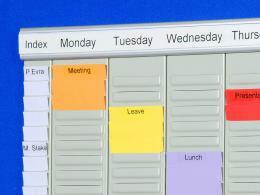 What is the purpose of the Office Planner Kit? 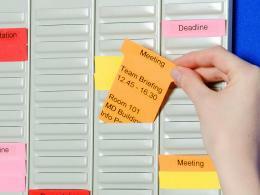 Having a well-organized office can be difficult, especially if your employees don't know what they are doing and need to have a schedule. The Office Planner Kit makes it easy to help your employees know what they are expected to do and what they should accomplish. This product makes everything easier for you and for the kind of work that you know that you need to get done. The great thing about this product is that it can be used practically anywhere. Whether you need to hang it in your office or you want to have it in your home in order to organise everything, you can easily do it without too much effort. It's small enough and easily portable enough to place it anywhere that you might need to make a schedule for yourself or for other. Anyone might want to use this product for different reasons. You might need for yourself as an individual at home, or you might want to consider taking it to the office where you can organise your schedule and others' easily. You'll most likely find business professionals and employers have this product, but it can be used in multiple places and you can often use it at home if you need to organise your family, as well. 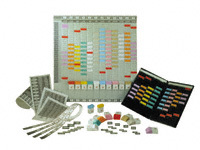 The kit comes with 7 x 24 slot panels available for planning. It also includes an index panel and wall rails for setup. The kit also comes with 7 boxes and 2 T-cards in seven different colours. This product also features free delivery and a 1-year warranty. 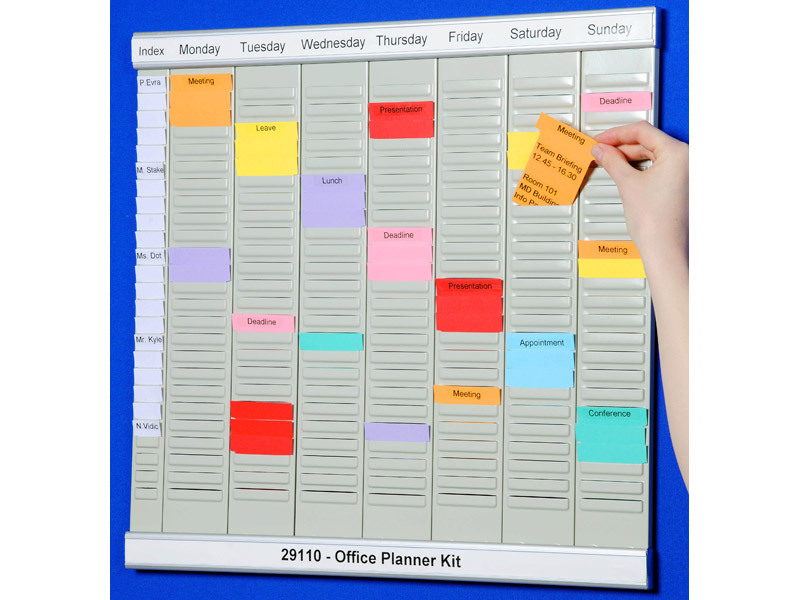 The dimensions for the Office Planner Kit are 480(H) x 480(W), making it the perfect item to hang in several different areas of your home or your office.